We are pleased to announce Guildford Games Night 2017 - open to all in the games industry! 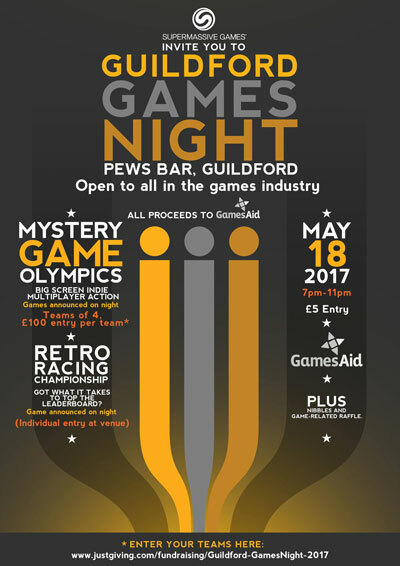 This will be our 6th annual event and – as always – the aim is to raise money for GamesAid. The format has varied but it always involves the local games industry battling it out for glory. This year we’ll be bringing back the Mystery Game Olympics which was such a success last year. We’ll also be debuting a Retro Racing Championship. Both should be a lot of fun! Or you can just come down and enjoy a few drinks with your games industry colleagues. Play a retro racer - title announced on night - and prove it!